Ever wanted to have the perfect movie theatre experience in your very own home? It isn’t just a dream for people living in the Brisbane area anymore. The average Brisbane home owner can in fact have their very own home theatre. How is this possible? It’s a very simple and easy process. Here at AV Everything, we have the expertise and products to help you design and install the best home theatre to suit your living space. Why get a home theatre installed? Saving money — every time you visit a movie theatre with your family, you can end up spending well over one hundred dollars. From expensive tickets to even more expensive concession snacks, theatre visits are not nice to your bank balance over the long-term. Save money by setting up your own home theatre, Brisbane folk. Over time, you will find yourself saving much more money. Comfort — public movie theatres can be uncomfortable spaces. From screaming children to people walking around and talking during the show, it can distract you from what you are watching and turn a supposedly enjoyable experience into an unbearable one. Imagine being able to have the perfect movie theatre experience in the comfort of your very own home. No noise, no interruptions, it truly is bliss. The Perfect Entertainer — need to find something for a group of kids to do during a sleep over? Hosting an evening and want to finish the night in a relaxing way? Having your own private movie theatre is perfect for entertaining friends, family and guests. Turn on the projector, put on some popcorn, pull up some couches and enjoy. Convenience — imagine having to fiddle around with several remotes to try to turn on a TV, DVD player and sound systems. With the perfect home theatre, you can control all of these devices with just one remote. An automated home theatre is truly the best kind of audio visual system. Don’t worry about having to find everything you need for your new theatre. At AV Everything, we have all the audio visual equipment necessary to create your perfect home theatre. From TVs to surround sound systems, we can provide you with all the essentials that you need. We also stock the best brands when it comes to theatre systems, including a range of products from both Samsung and Yamaha. You can be sure to get quality audio visual equipment from Brisbane’s number one audio visual provider. We at AV Everything don’t just stock the necessities needed to create the perfect home theatre. That’s right, we also assist in the installation and set-up of your brand-new home theatre. With the assistance of our specially trained professionals, we can help you create the perfect atmosphere for your own private movie room. We provide a range of services, including setting up audio, installing TVs and creating a convenient environment to enjoy your home viewing. One part of our home theatre installation process is setting up the audio and visual aspects for your home theatre. We consult with you to find out what you need in terms of surround sound systems and visual equipment. We also inspect your space and help you to determine the best place to install your brand-new audio system for maximum entertainment value. Interested in a projector for an authentic movie experience? We can help you with that, too! When it comes to all of your audio and visual solutions, AV Everything is always happy to lend a helping hand. Looking at adding a television to your movie theatre? Don’t stress about trying to find the right television and certainly don’t risk trying to mount it yourself! Here at AV Everything, we can assist you in the process of television installation and mounting. Mounting televisions is a delicate job and it requires a trained professional to achieve it properly. Putting one up yourself or getting a non-professional to do it could be hazardous to you, your family and your new theatre system. At AV Everything we can ensure you that we will secure your television properly—and in the best place for quality viewing without any added neck ache or eyestrain. When it comes to owning your own home theatre, the idea of having a dozen different remotes to work with may be unnerving and may also seem inconvenient. We, at AV Everything, understand the annoyance of dealing with this, so we have the perfect solution for you in the form of home theatre automation. 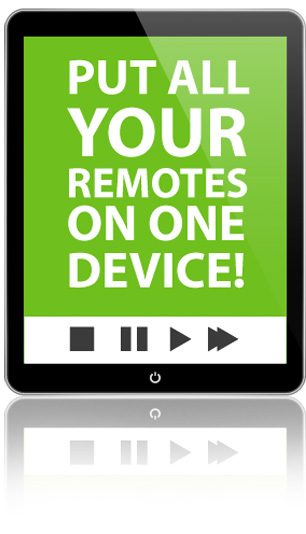 With the assistance of a simple app on your smart device, you can turn all your remotes into one universal remote. With the assistance of our audio visual specialists, we can ensure you have your new automated home theatre up and running. We can also demonstrate how to work it, so you can start using your new home theatre immediately. Make your home theatre a snap to set up with just a push of a button. At AV Everything, we don’t just set up your home theatre and leave you with all the mess. Our skilled audio visual experts can organise your home theatre to ensure you have the perfect space to enjoy your theatre room. AV Everything will help you organise your unique home theatre so that you have a quality audio visual experience. We look at your circumstances and your room and work with the space to bring you the best home theatre possible. From mounting audio devices and projectors to positioning your audio visual products, we can ensure your room is set up in such a way so as to provide you with a quality audio visual experience. Another way we can help organise your theatre room is though our cord concealment techniques. As home theatres are filled with a variety of audio visual equipment, an unskilled Brisbane home theatre installer may leave cords lying around everywhere. Not only does this make your home theatre look unkempt, it can make it a safety hazard. At AV everything, we can use a variety of cord concealing techniques to hide the cords behind furniture and on walls. That way, you can have full access to your home theatre and create a safe environment in which to live. Before beginning the process of creating your home theatre, consider any sources of light in your room that might create glare. Will you build your theatre in a dark area, or will you need to cover any windows with blinds? Consult with our specialists for more information, assistance or advice. Consider the type of atmosphere you want to create in your theatre room. Do you want traditional movie theatre seats in aisles or would you prefer a nice comfy couch or even just a couple of beanbags to sit on? This will be important to keep in mind when your audio visual systems are being installed. Think about whether you’ll need to soundproof your room or not. If the walls are thin or sound can travel out of the room easily, it may be an option you wish to consider. There is nothing better than enjoying a movie in the comfort of your own home. With the help of AV Everything, you can enjoy the perfection of having your own home theatre. With over 15 years of experience with audio visual solutions, you can be sure to trust us with creating the best home theatre for you and your family. For more information on home theatre systems or if you simply wish to make an inquiry, please contact us here. Home theatres provide a cheaper and more comfortable alternative to regular theatres. They also provide the perfect way to entertain guests and are a much more convenient way of enjoying entertainment. At AV Everything, we have a huge variety of audio visual systems available for you, from Yamaha to Samsung. We can organise your room, too; from concealing power cords to skilfully arranging your room, so you can get the best experience out of your home theatre. Think about what else will be going on in your room, including issues with glare, the atmosphere you wish to create and whether you need soundproofing or not. This will affect the set-up of your room. Creating an automated home theatre. 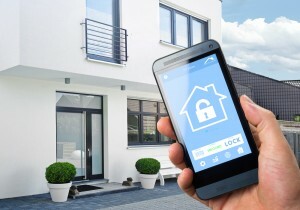 With the use of your smart device, we can install an app that can control all of the audio visual devices in with just the one remote. One of our team will get back to you within 48 hours!.